Kata (formal forms) were regarded as the cornerstone of martial arts training by the past masters. However, many modern karate practitioners question the value of kata. Some have even stopped the practise of kata altogether. So what is the point of kata and why did the past masters place so much store in them? The answers to these questions are revealed by “bunkai” (the analysis and practical application of the movements of kata). An understanding of bunkai brings the kata to life and makes them relevant to the modern world. In this series of articles we’ll be exploring the basics of bunkai. 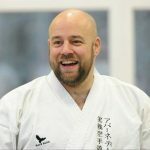 It’s my intention to keep our discussions as accessible as possible and I hope that these articles will open up this important and fascinating area of kata practise to those who are relatively new to karate or bunkai training. 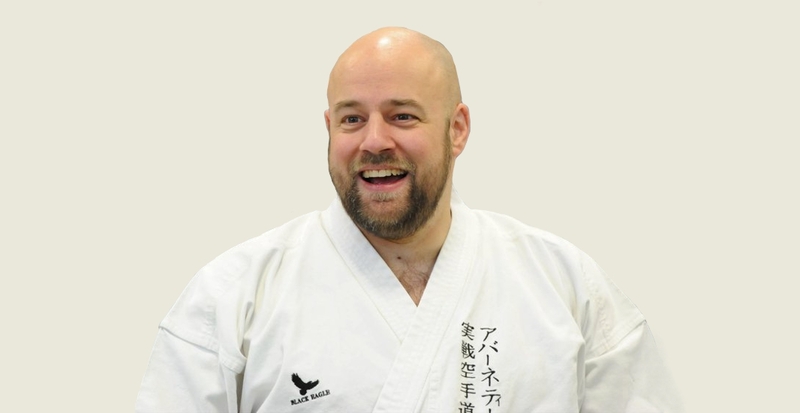 One of the most important things to understand about kata bunkai is that the names we use for kata moves today are not accurate descriptions of the movement’s original functions. I want to keep these articles light and accessible to all, so I’m not going to explore all the historical reasons for this (browse through the articles section of you’d like more details). However, we’ll quickly cover some key facts that you’ll need to be aware of. Firstly, karate was originally a secret art that was practised by a small number of practitioners. It wasn’t until the early 1900s that this brutal and closely guarded secret was taught openly to large groups and school children. The teaching of karate to large groups meant that a common terminology was needed for the first time. Also, the teaching of kata to school children as a form of physical exercise meant for the first time kata were being taught without their fighting applications. The Okinawan school children were taught the kata so that they could gain the benefits of increased discipline and physical fitness, but the combative meanings of the movements were deliberately obscured in order to ensure training was safe and appropriate for those of a young age. Therefore terms like “Inner-Block”, “Outer-Block”, “Rising-Block” etc stem from the “watered down” children’s karate and not the potent fighting art developed by the warriors of Okinawa. Karate arrived on mainland Japan at a time where all the martial arts were undergoing a significant change. The emphasis was shifting from pragmatic fighting skills to sport, character development and physical recreation. 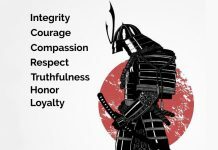 The battlefield systems of Kenjutsu morphed into Kendo, The modern sport of Judo was developed from the samurai systems of Jujutsu etc. These new “martial ways” were seen as the future of the martial arts in a modern Japan . 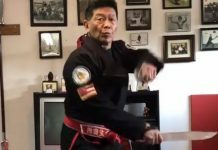 Again, this cultural trend also resulted in kata being taught for their own sake, instead of as a record of combative techniques and principles. The version of karate that spread worldwide was therefore a version that did not include bunkai study, and made use of the “children’s terminology”. 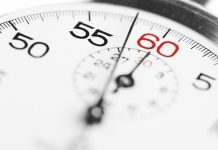 The facts we’ve just covered are fundamentally all the history you need to know to begin your study of kata application. So if the movements we commonly call “blocks” were originally never intended to be applied as blocks, what are they? Although modern karate tends to be practised at long-range, a distance where blocking can work, real fights are very close and very fast. There simply isn’t the time or space to react to an opponent’s technique. Blocking is therefore not a significant part of live situations. The experienced warriors who formulated the kata will have experienced the ferocity of close-range combat, so they are unlikely to have included much blocking in the kata. It really is very important to remember that modern labels are not accurate descriptions of function. In this series of articles, we’ll be looking at the basic functions of “the blocks” and examining the fundamental principles behind these movements. So let’s start at the beginning and look at a basic application for one of the first “blocks” normally taught; the “rising block”. Being a “civilian art”, the techniques of the kata deal with the methodology of civilian combat (in contrast to the methods that would be used on the battlefield or competitive environment). In the civilian environment, one common scenario is the opponent seizing the clothing in an attempt to prevent you from fleeing, to maintain punching distance (stop you moving back), or intimidate you. Obviously, you should do everything you can to prevent the opponent getting a grip on you, but if they do, you can use the “rising block” motion to incapacitate the opponent. Grab the opponent’s hand in order to have some control of their arm and gain a tactile awareness of its position (Figure 1). This is the purpose of the hand on the hip (hikite) for the “rising block”. Another basic concept of bunkai is that every part of the movement serves a purpose, i.e. the hand would never be pulled to the hip unless it disadvantages the opponent in some way. In the rough and tumble of a live fight, we have to accept we may not get the ideal grip and the important thing is that we control the opponent’s hand. However, if we can grab the fleshy part of the hand (base of thumb area) and pull and twist as per the kata movement, we will get a slightly greater effect on the next movement. By dropping into basic front stance we will pull the opponent’s arm straight, twist their body, and make it difficult for them to get any rotation into any back hand punch. Slam your forearm into the opponent’s arm (Figure 2). This bends the opponent’s arm, sharply pulls the opponent further off balance, psychologically stalls them for a split second, and causes them to present their jaw for the following strike. Complete the “rising block” by slamming your forearm into the opponent’s jaw (Figure 3). Great care needs to be taken in practise as the “preparation” for the “block” (strike to forearm) will cause your partner’s head to shoot forwards at speed. In a live situation, this jolt forwards will add power to the rising forearm strike (opponent’s head will come down and meet it on the way up). In training, the rising strike needs to be performed slowly and with great care. The whole technique takes a fraction of a second to perform and can be devastating when performed with intent and aggression. In this first article we’ve established that the modern labels aren’t descriptions of function, that “blocks” aren’t blocks, that all parts of a movement serve a purpose, and we’ve seen a basic application for “rising block”. So we’re now on the way to understanding the kata and the basic of bunkai! In the next article we’ll continue our study by looking at “knife-hand block” and show some of the ways in which the movement can be used to gain control of an opponent’s limbs, open them up, and then exploit that opening with a hard hitting strike. We’ll also cover some more of the fundamental concepts of bunkai training that I hope will help further open up this fascinating area of martial study.